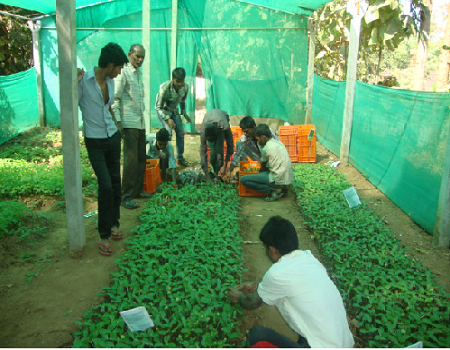 National Initiative on Climate Resilient Agriculture (NICRA) is a network project of the Indian Council of Agricultural Research (ICAR) launched in February, 2011. The project aims to enhance resilience of Indian agriculture to climate change and climate variability through strategic research and technology demonstration. The research on adaptation and mitigation covers crops, livestock, fisheries and natural resource management. The project consists of four components viz. Strategic Research, Technology Demonstration, Capacity Building and Sponsored/Competitive Grants The project was formally launched by the Hon’ble Union Minister for Agriculture & Food Processing Industries Shri Sharad Pawarji on 2nd February 2011. Most of the activities across India were initiated in full measure during 2011-12. Click Here To Get More Information About NICRA Project.